Boost backup and disaster recovery (BDR) revenue by bundling complementary solutions and services. 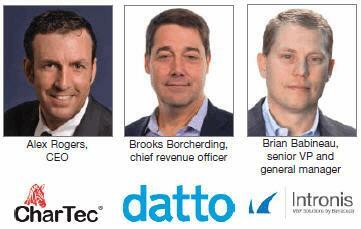 One of the most commonly covered technologies in Business Solutions magazine is BDR. It’s one of the few technologies that is offered by VARs, MSPs (managed services providers), and retail point of sale solution providers alike, and it’s a fit for companies of all sizes and verticals. There are two primary business strategies for selling BDR: One way is to sell it as a stand-alone solution. If you’re trying to get your foot in the door with a new client, it may be tempting to use BDR as an icebreaker. But most successful MSPs will attest that selling comprehensive bundled solutions (i.e., the second business strategy) is the preferred way to go. I recently spoke with three BDR experts to get their tips on the do’s and don’ts of BDR bundling. The most effective BDR solutions integrate primary and secondary storage with backup technologies, which allow solution providers to manage storage and backup in a coordinated manner. Initiating a storage array snapshot from primary storage and automatically replicating it to secondary storage is one example of an integrated BDR offering. For example, there is a growing need to integrate BDR with online-hosted platforms, such as Microsoft Office 365. This integrated service, also known as disaster recovery as a service (DRaaS), is becoming a huge opportunity. Analyst groups such as MarketsandMarkets report that the global DRaaS market is expected to grow from $1.42 billion in 2015 to $11.92 billion by 2020, representing a 52.9 percent CAGR over a five-year period. Although many online-hosted platforms, like Microsoft Office 365, do include a data backup component, it pales in comparison to the value of a true DRaaS offering. There is a misconception in the market that cloud-based apps are protected through backup or long-term retention in a manner similar to what enterprises do with traditional email. This is simply not the case. There is some basic short-term data retention, but it will not meet the needs of businesses that have compliance requirements or other data access or long-term protection requirements. Aside from the many types of complementary backup technologies (e.g., image-based backups complement file-based backups; local backups complement cloud backups), security is the next closest complement to BDR. “Network security is akin to a home alarm system, whereas BDR is like a homeowner’s insurance policy that comes into play if something is stolen or damaged,” says Brian Babineau, senior VP and general manager, Intronis MSP Solutions by Barracuda. A good place to start with security is email, since that is where the majority of malware and ransomware threats originate. “Employees click attachments or links that appear to come from a bank or shipping company, and that instigates malware on their workstation and network,” says Babineau. But not all email and network security solutions are created equal, he warns. While it’s important to select security solutions with lots of features, don’t neglect the importance of managing the solutions, say the experts. For example, some BDR vendors also have email security offerings that allow both solutions to be managed from a single interface. Similarly, some BDR vendors may have strategic partnerships with third-party security vendors, which include deeper integration and management capabilities. IT solution providers should look for these integration partnerships and management capabilities before they piecemeal BDR and security products on their own. The key to supercharging your BDR offering, say the experts, is to avoid treating BDR as a task-based IT function. Instead, MSPs should view it as a strategic business process that plays a key role in business continuity. By talking strategically about business continuity early in the design process, and less about the simple task of backing up data and the cost per gigabyte to store data in the cloud, you’ll increase your chances of avoiding the BDR commodity trap. Subsequently, by broadening the sales discussion to include complementary solutions like DRaaS, FSS, and security, you will make it easier for higher-level decision makers, such as line-of-business executives and CEOs, to see the value of buying a bundled solution rather than several individual products, which makes good sense on many levels.